More and more people across the nation are turning to Invisalign for wire-free orthodontic treatment. Dr. Rana and Dr. Barton are Orthodontists in Brooklyn, NY who are both SPECIFICALLY trained to treat all sorts of conditions in aligning teeth. They specialize in braces and Invisalign. There are many other dentists who advertise but are not ORTHODONTISTS and do not have as much experience as Dr Barton and Dr Rana. We offer the best Orthodonic options in Brooklyn. Monthly Payments as low as $92/Month. Mention code RANA and Get Started for as low as $2995. *Prices may vary depending of level of case. 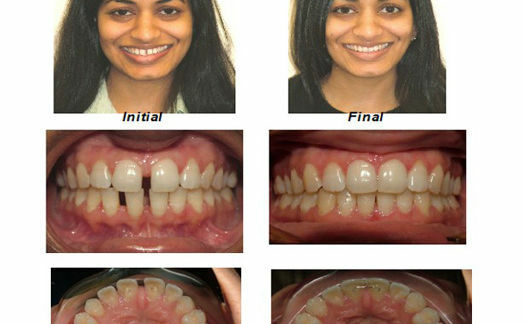 Retainers additional cost, case must be paid in full at start of treatment. Prices may vary depending on level of treatment. At Free consultation all expenses would be discussed. Payment plans available!